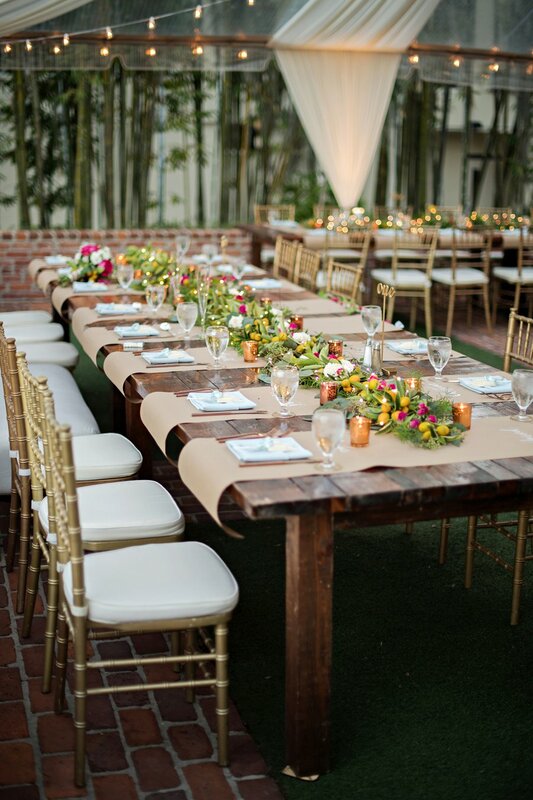 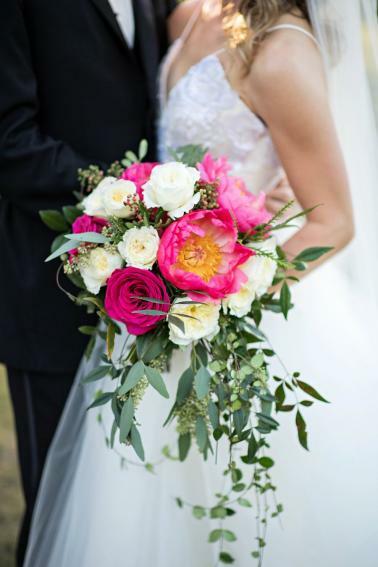 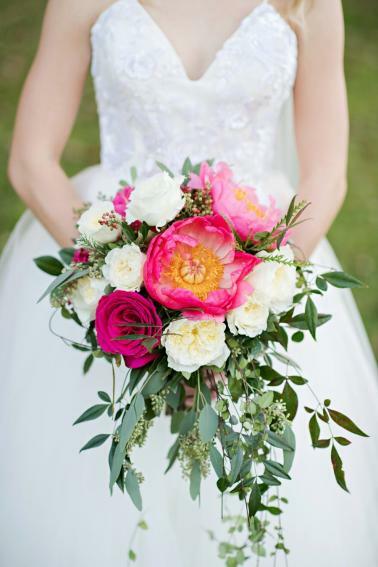 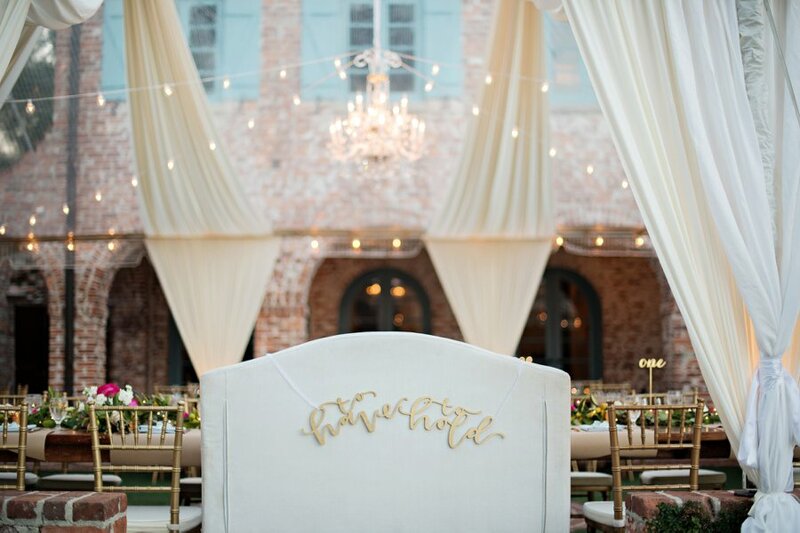 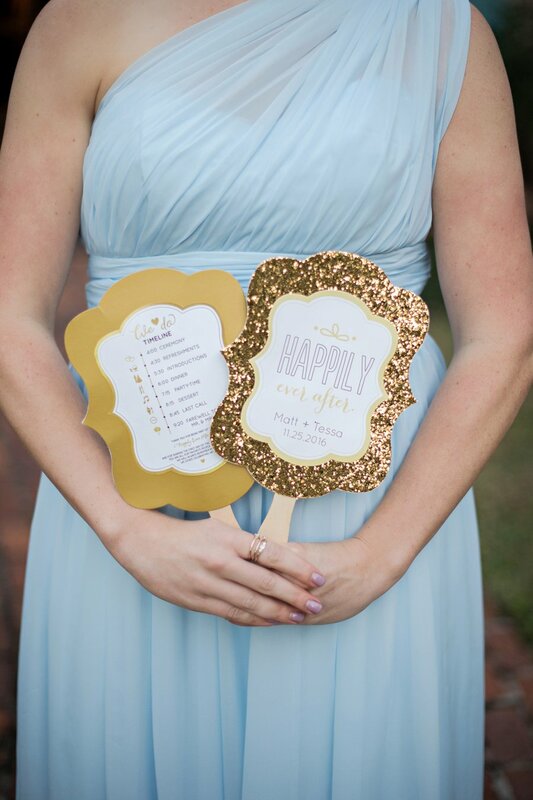 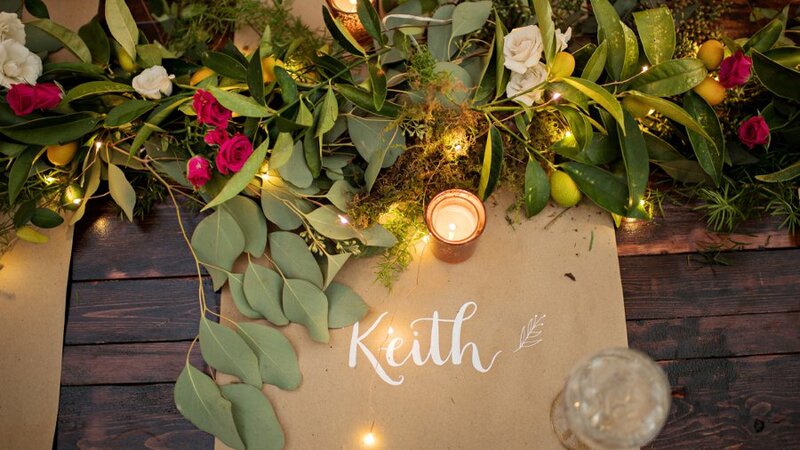 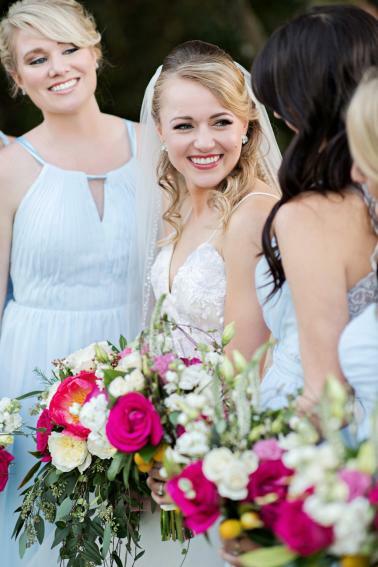 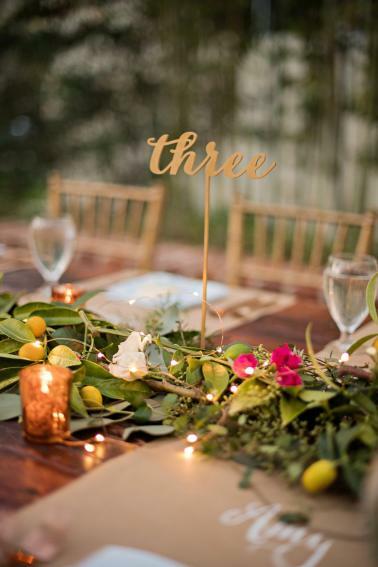 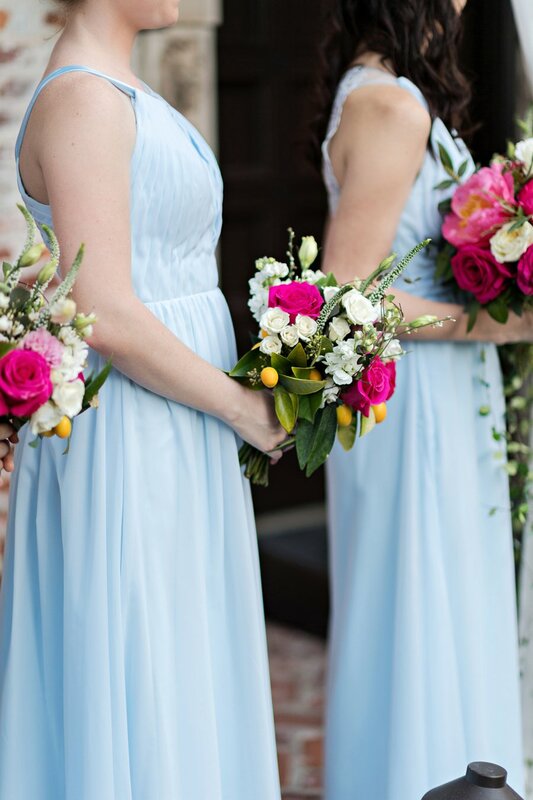 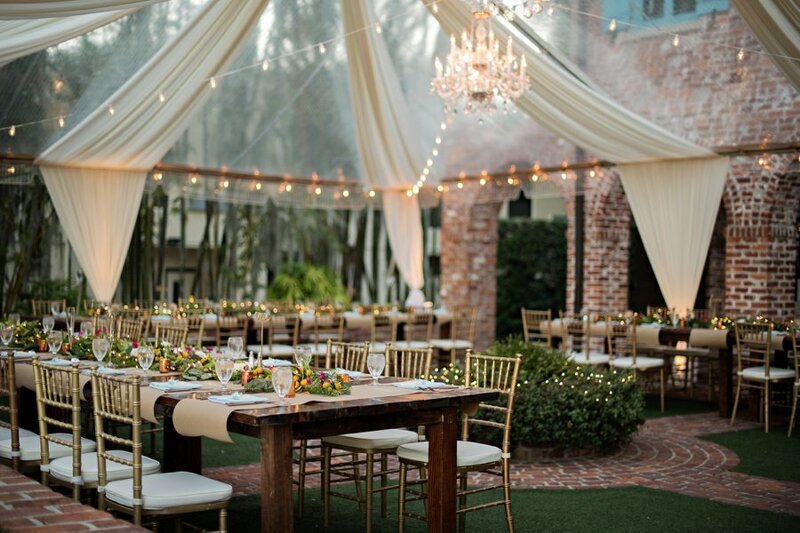 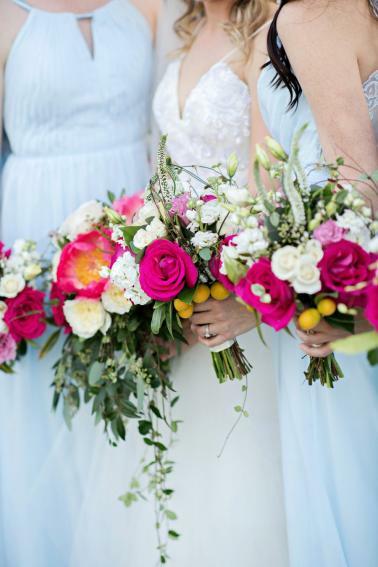 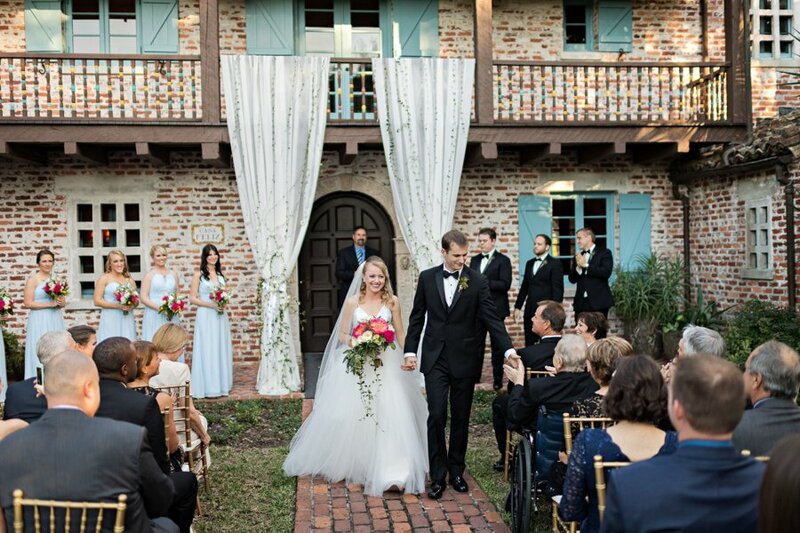 This cozy Florida wedding is full of fun details and eclectic style. 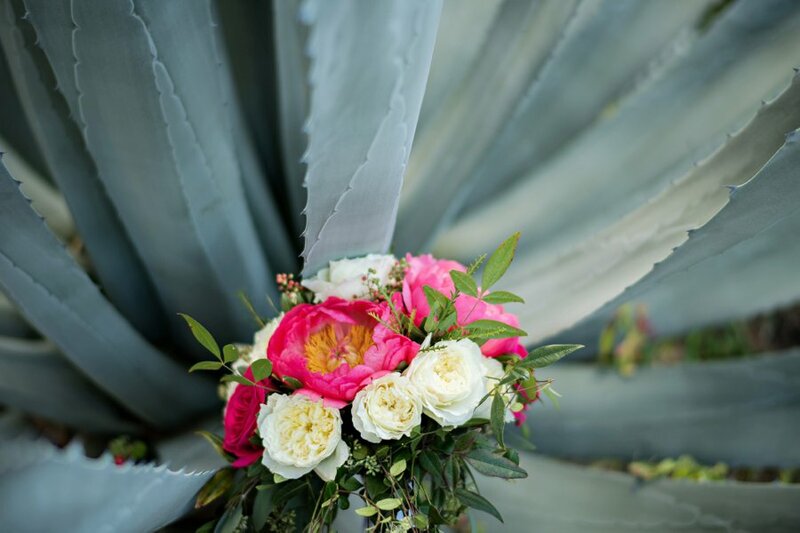 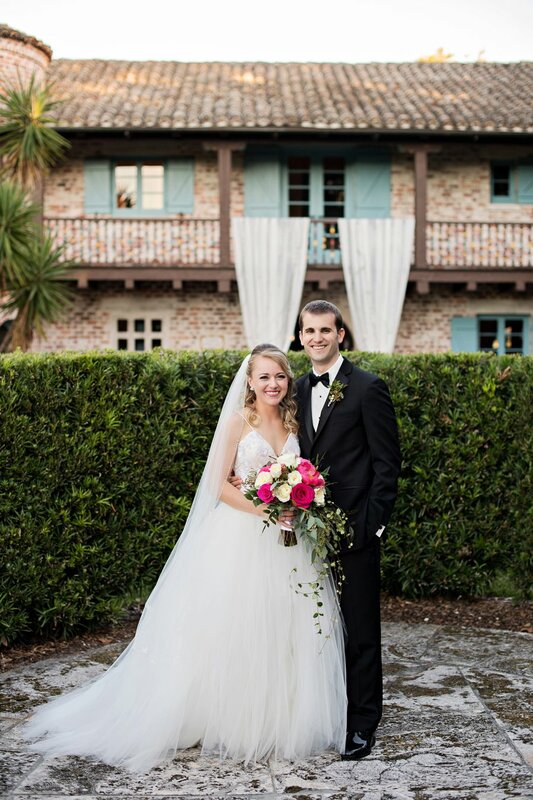 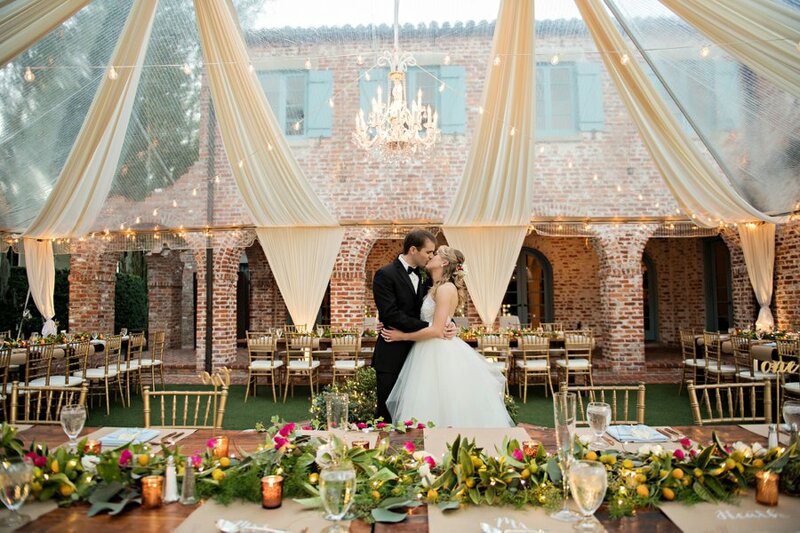 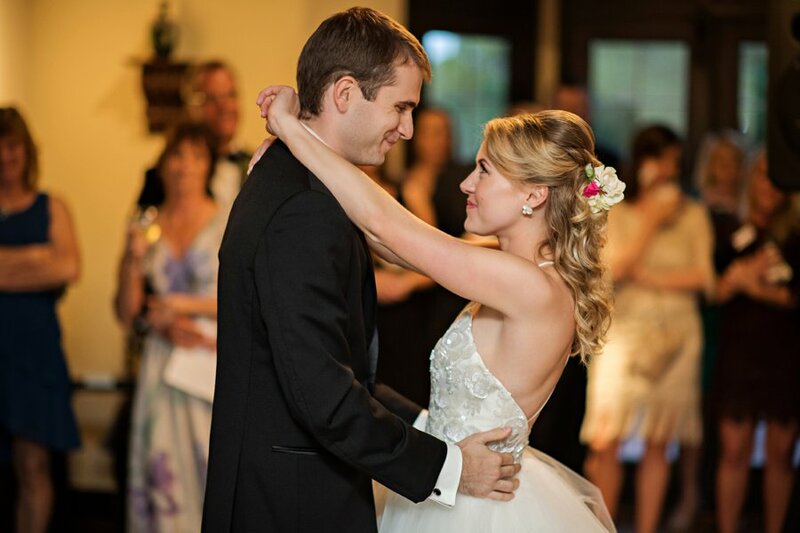 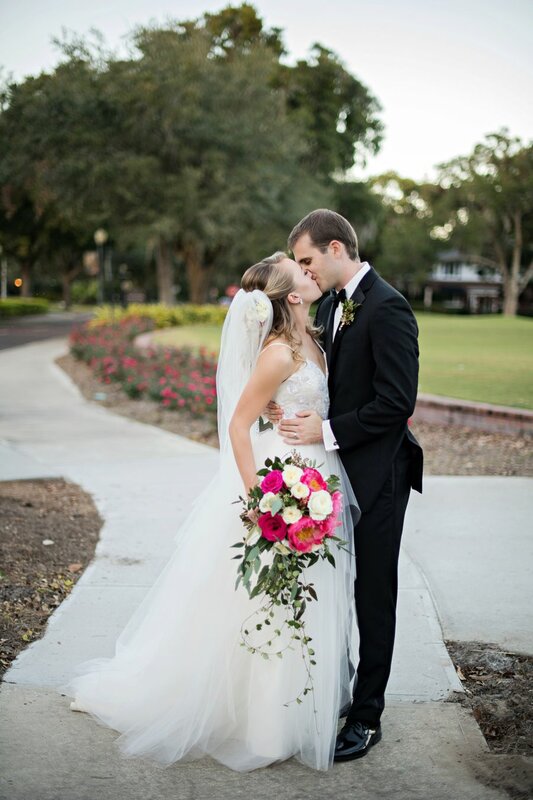 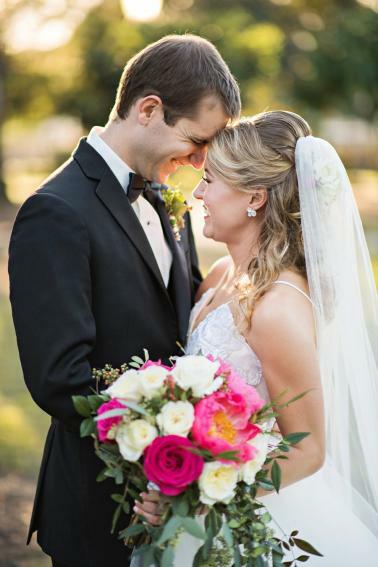 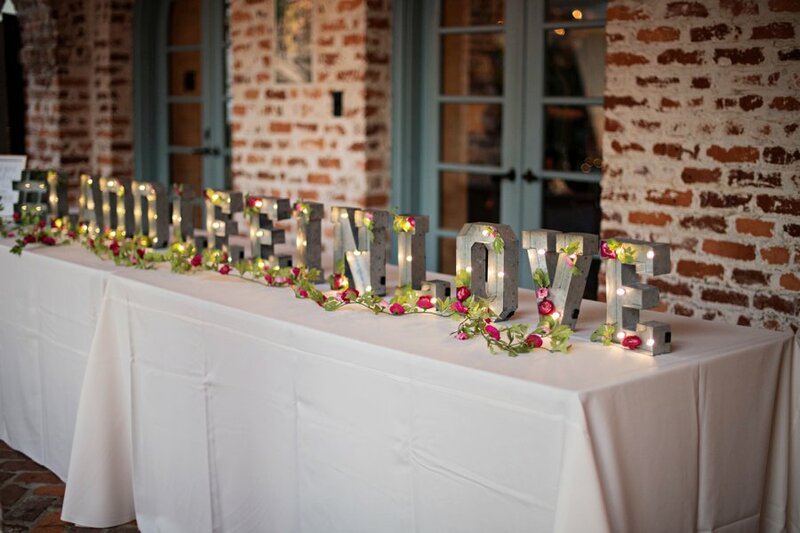 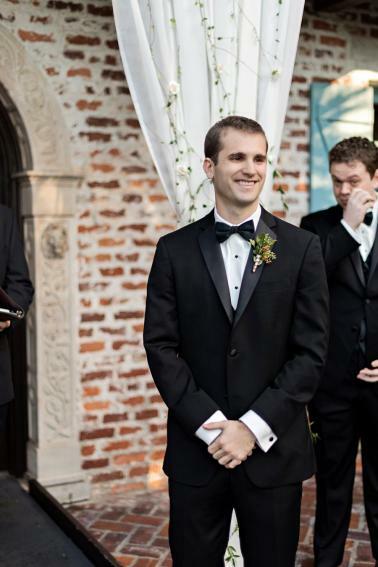 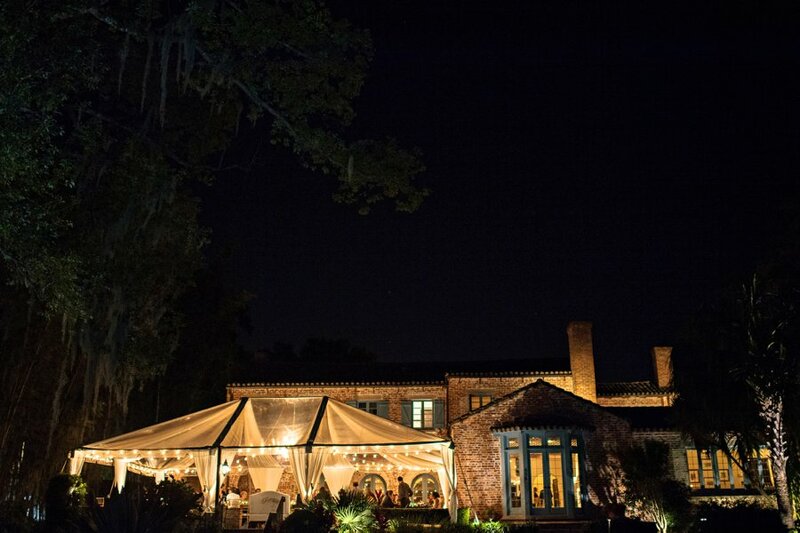 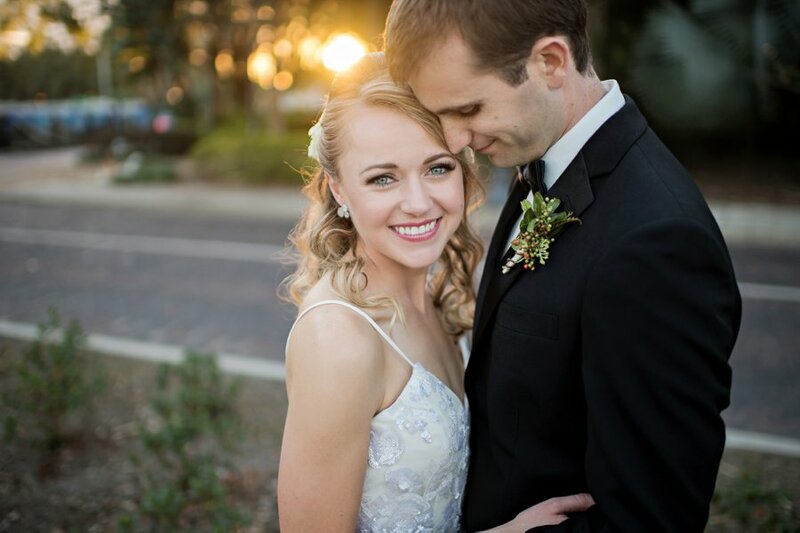 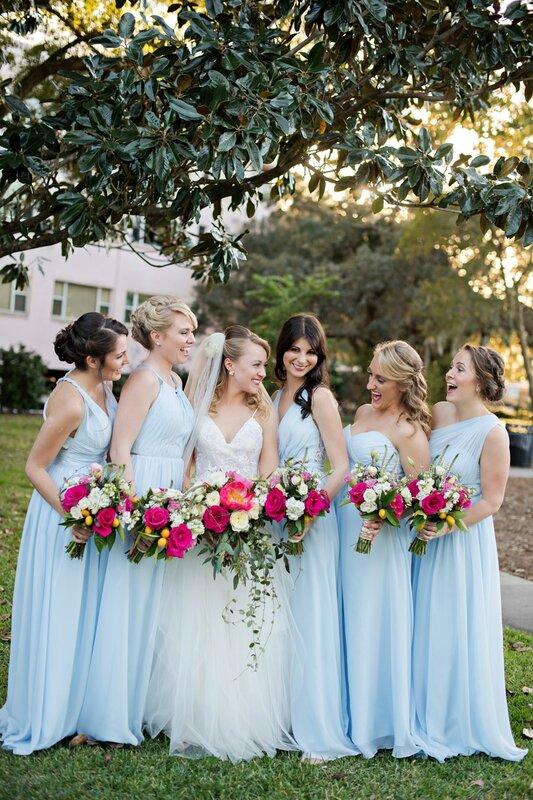 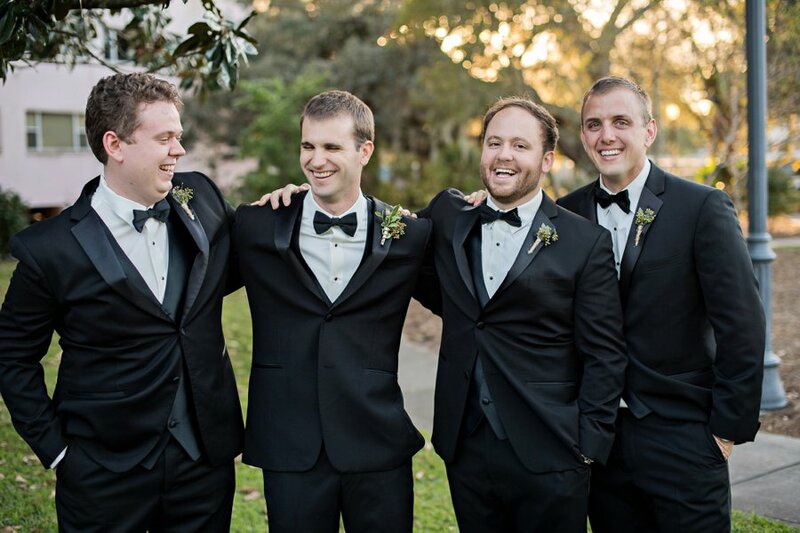 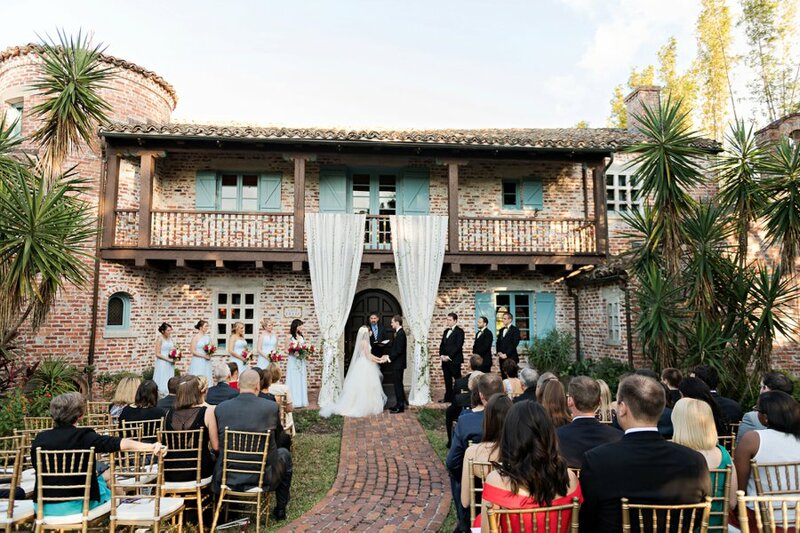 Tessa and Matt said “I Do” at the Historic Casa Feliz in Winter Park, Florida. 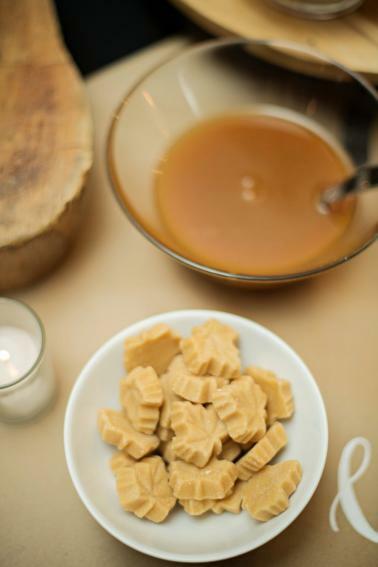 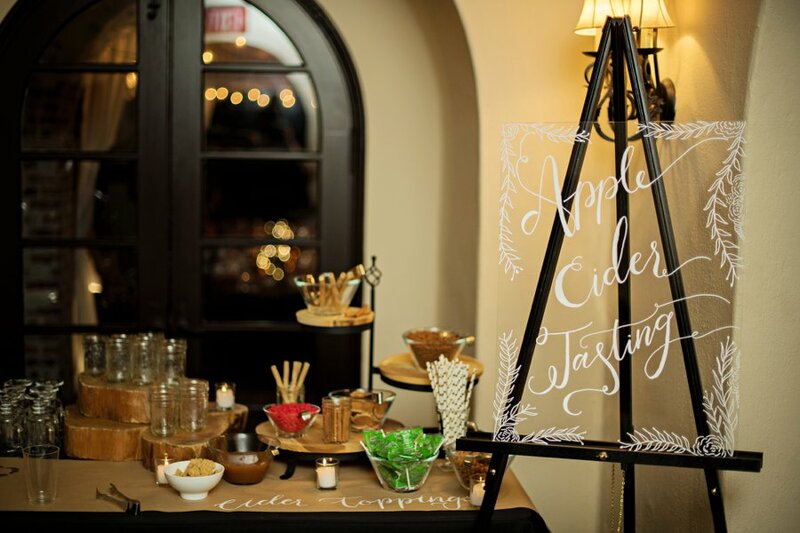 Their intimate, day-after-Thanksgiving wedding was complete with family-style dining, a Haagen Daaz ice cream bar, and our favorite- an Apple Cider tasting station. 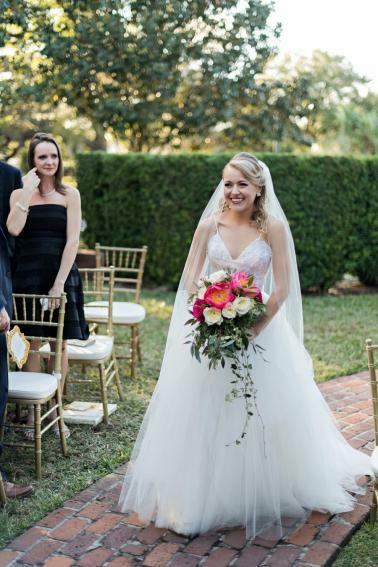 We love how these high school sweethearts opted for ice cream as their dessert instead of wedding cake as a way to celebrate their love story since most of their dates in the beginning of their relationship revolved around eating ice cream. 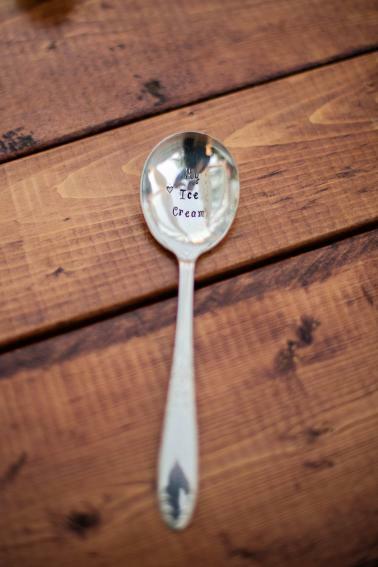 The engraved ice cream spoons at the bride and groom’s place settings are quite fitting too- and one of our favorite details from the day! 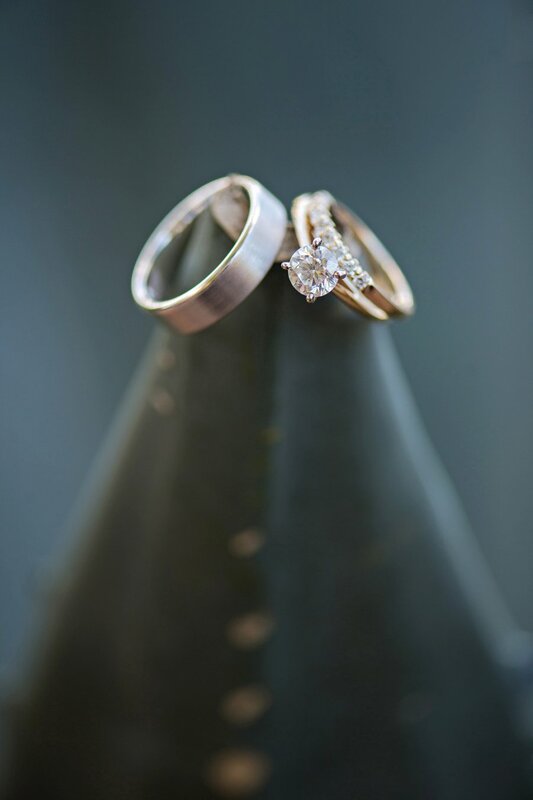 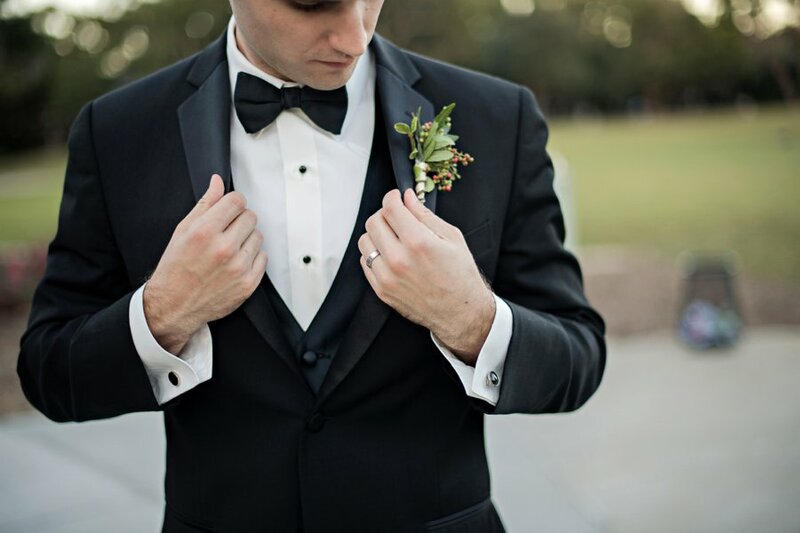 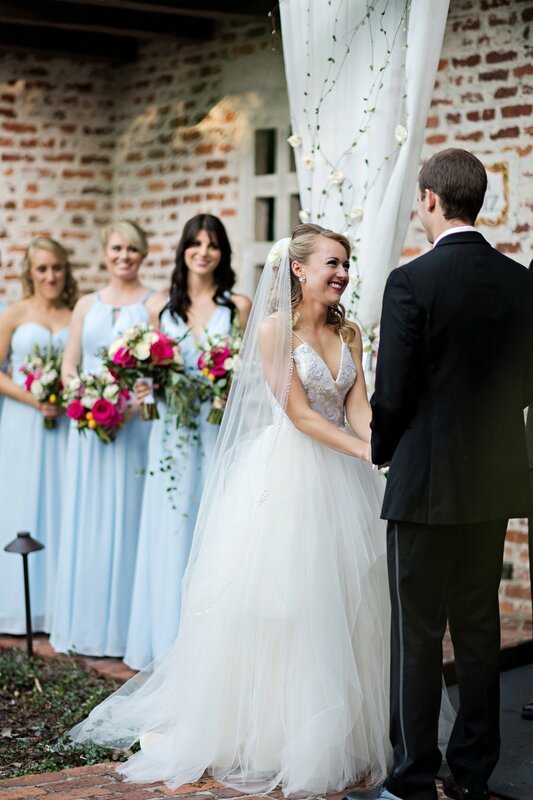 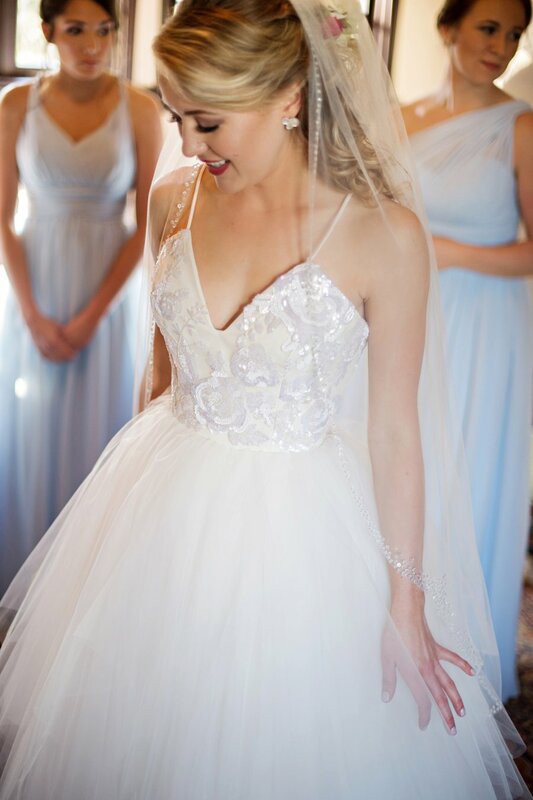 We are so excited to share Tessa and Matt’s wedding story, along with the special details of their day that were so beautifully captured by Kristen Weaver Photography. 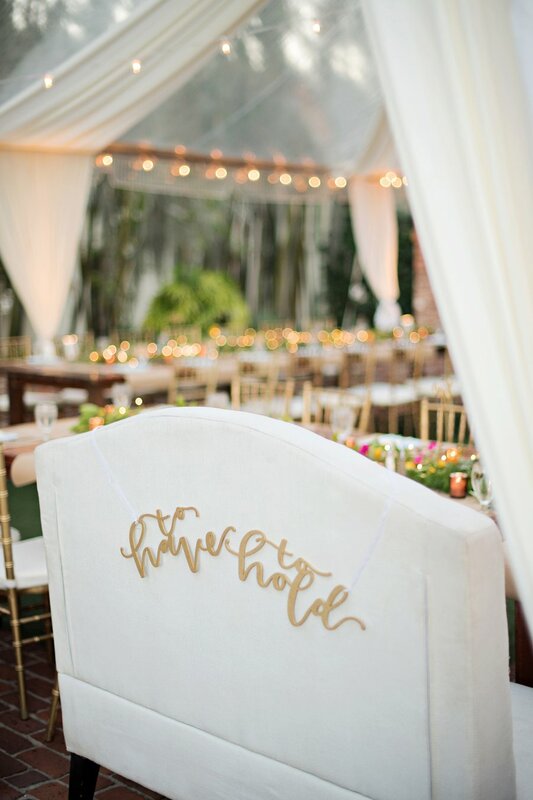 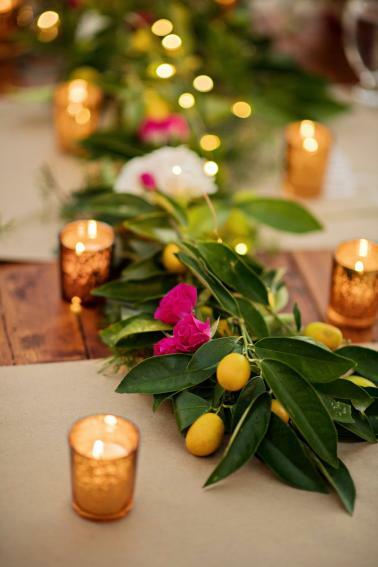 We think you’ll love how they created an intimate and personal atmosphere for their guests to celebrate with them, and we can’t wait for you to see! 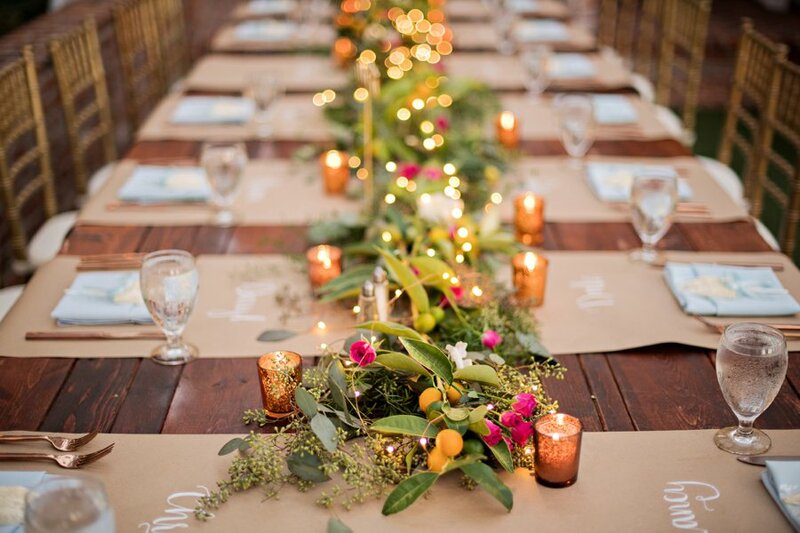 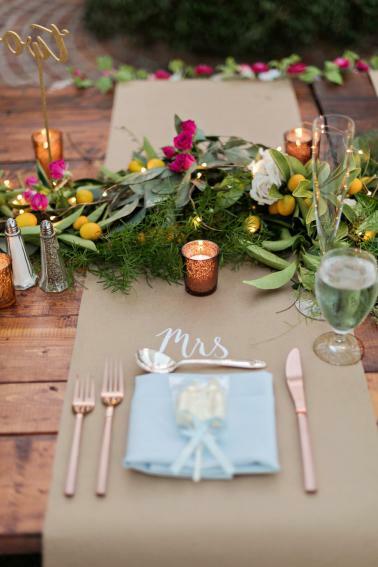 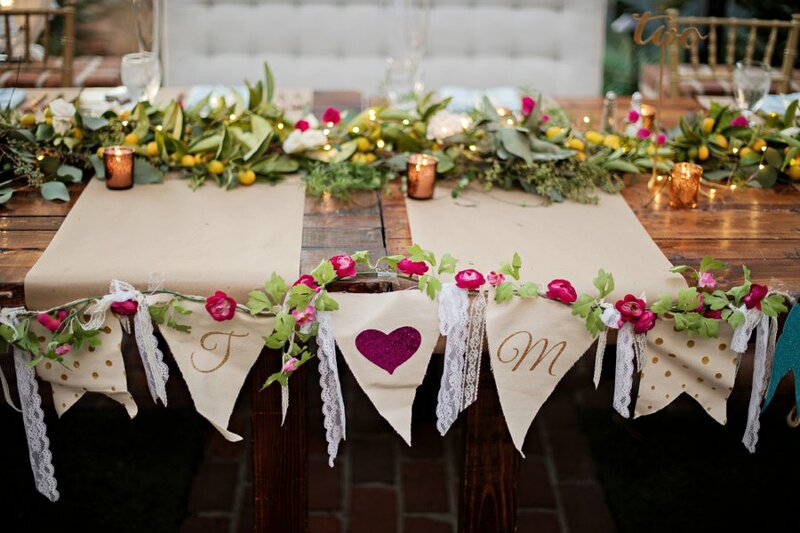 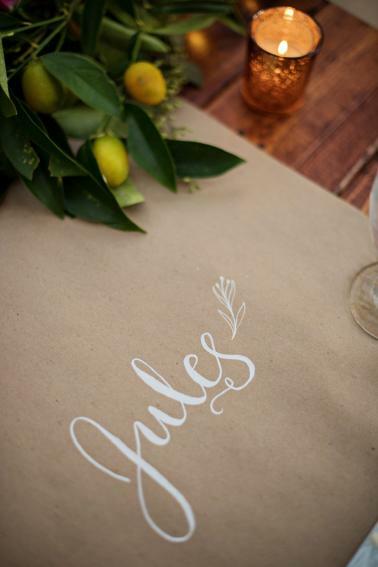 We really love how they mixed up the traditional table runner, and opted for craft paper place settings that were lettered with each guests name. 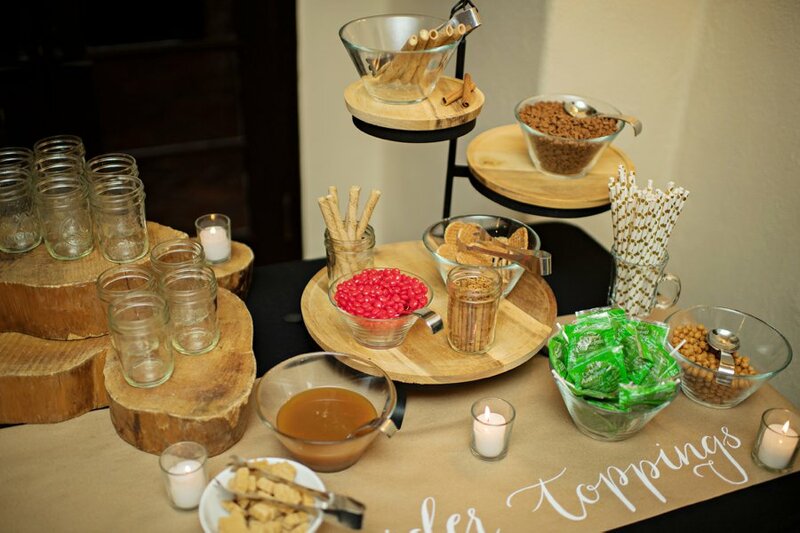 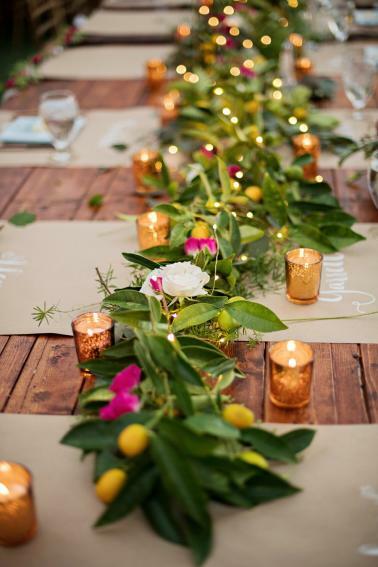 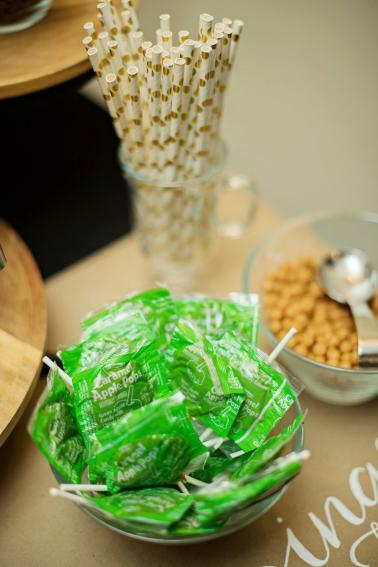 Such a fun way to welcome each guest to their spot at the table. 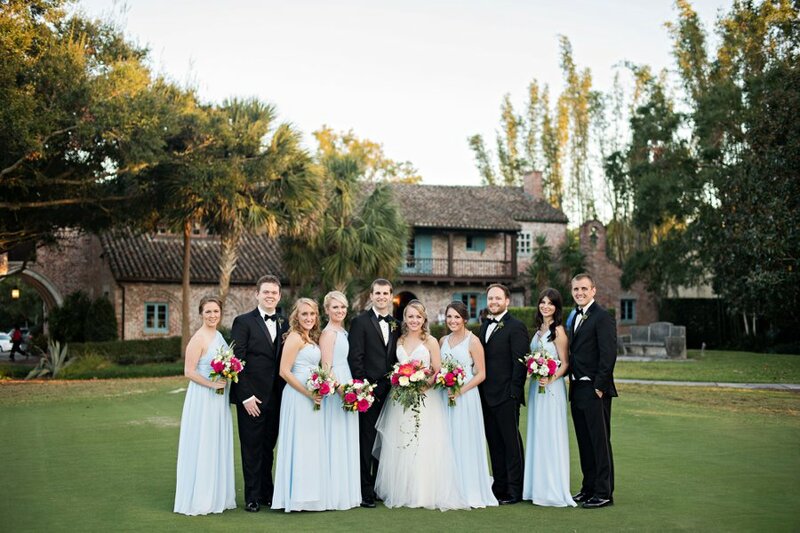 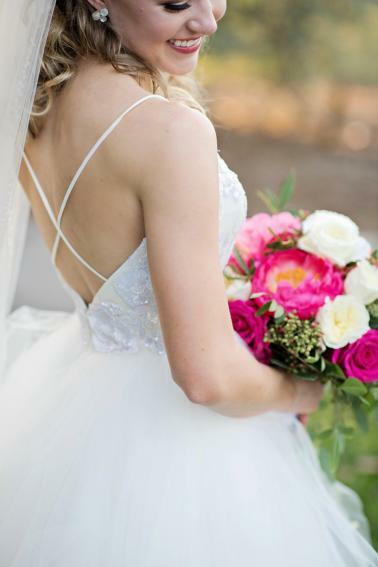 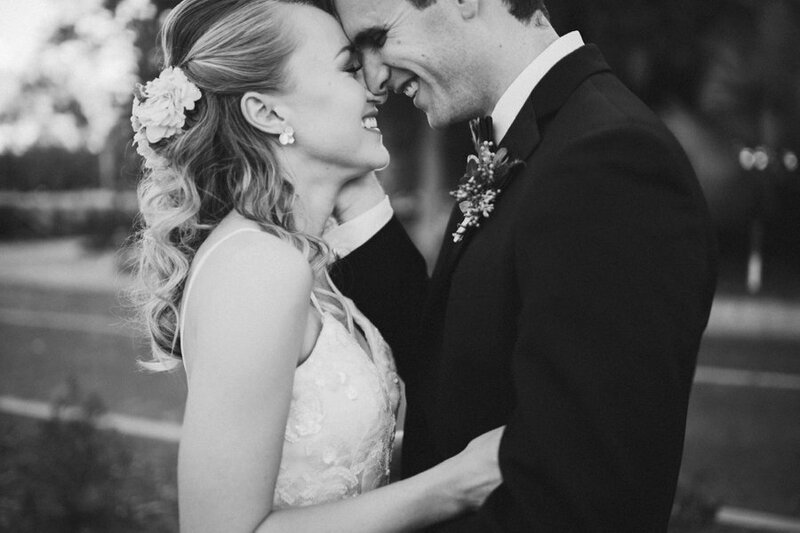 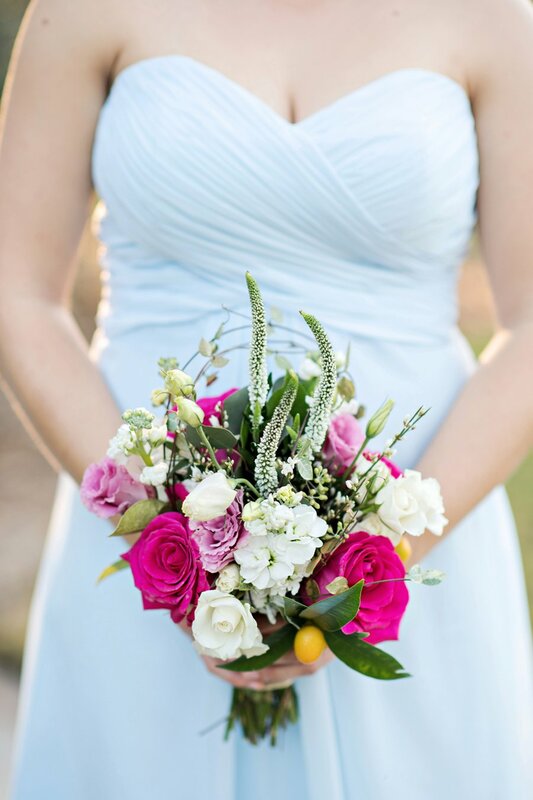 Thank you Tessa and Matt for sharing your wedding day with us!